I don’t really have a favourite author but an author I’m really enjoying at the moment is Patrick Ness. I had owned the Chaos Walking trilogy for a while but never got around to picking it up. I then received More Than This as a gift and absolutely loved it. After that I wanted to read more by Patrick Ness so I finally started reading the Chaos Walking trilogy. I still have to finish the last book but I’m really enjoying it. After I’ve finished the trilogy I am either going to read A Monster Calls or The Crane Wife by this author as I really enjoy his writing style. 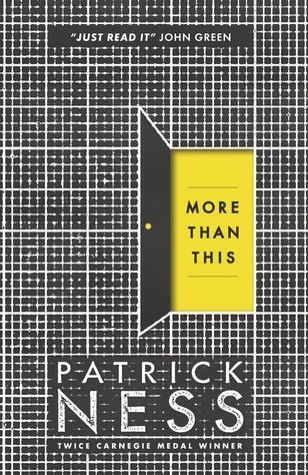 My favourite book by Patrick Ness would have to be More Than This. I just loved the complexity of the plot, it was so entertaining and fast paced that I read it in one sitting. It’s the sort of book that you can’t put down without knowing what happens. I can’t really explain much about the plot as I would most likely spoil it but I’d definitely recommend it.